All Risks Photography Insurance covers you for physical loss and damage to your equipment. As a photographer you should ensure your cameras and equipment are insured on an ‘All Risks’ insurance policy. An ‘All Risks photography policy’ is broader than a specified perils policy. 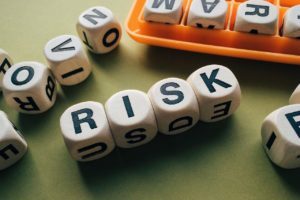 Typically, an ‘All Risks policy’ covers ANY ‘loss, damage or destruction’ unless specifically excluded. Under a traditional specified perils policy your equipment is ONLY covered for specified perils such as fire, theft, flood etc. Your claim must fall under a specified peril to be covered by the policy. Under an ‘All Risks’ policy ANY damage or loss to your cameras is covered, except a short list of exclusions such as vermin damage, general wear and tear etc. Under an All Risks photography insurance policy you have peace of mind your photographic equipment is covered for damage such as accidental damage, water damage and even accidental loss. Under the photography insurance policy provided to our clients, ‘All Risks’ also means your equipment is covered not only in your studio and home, but anywhere in the world unless otherwise stated. If your current photography insurance is not ‘All Risks’, it may not be covered outside of the studio or home. Under our photography insurance scheme, we can insure all the items below on an all risks insurance policy. We understand everyone is different, which means you may not need cover for everything in the list above. If you give us a call we can suit a policy to your needs. Please note: An Equipment list is not compulsory but can be helpful if you do have to make a claim. This is why it’s so important to make sure you keep an up to date Equipment list and let us know of any changes as soon as possible (by e-mail preferably so we have evidence of it in the event of a claim) We also provide New for Old Photography Insurance as standard in our Photographic Insurance Scheme. Need an All Risk Photographic Insurance Quote? Tom Carson and his team have been by my side from the get-go, guiding me through the intricacies of production insurance. I like it when he says to me “you don’t need this” or “you should have that” – it’s what you expect from a professional; solid advice, honed from years in the industry, that you can rely on utterly.